I have been using JE10 for more than a month, if you ask me what is my favorite feature in this camera, Make up mode is of course my first option and guess what is next? The Cute Artsy Toy Camera that creates photos with a vague focus such as a toy camera might take with slightly dark border around the picture. ART SHOT is an individualistic photographs can be taken with ease. JE10's ART SHOT offers a choice of eight artistic effects that alter the stylistic impression of your photos. You can create unique expressions easily without processing the images on a PC. Every picture tells a story but what makes a picture looks interesting in every way? With Toy Camera effect, every picture literally comes with an extraordinary story now. So last month, my boyf and i went back to Penang for a wedding dinner as i mentioned earlier. So the next day before he went back to KL, Boyf randomly came across this Sleeping Buddha Temple somewhere near my house. Paid a short visit, walked around like a tourist with le boyf. Sunday Afternoon Chilling at Winter Warmers since le boyf haven't been to any Winter Warmers restaurant in KL but in Penang. Lol. Slightly different Cartoon Skin Tone!! 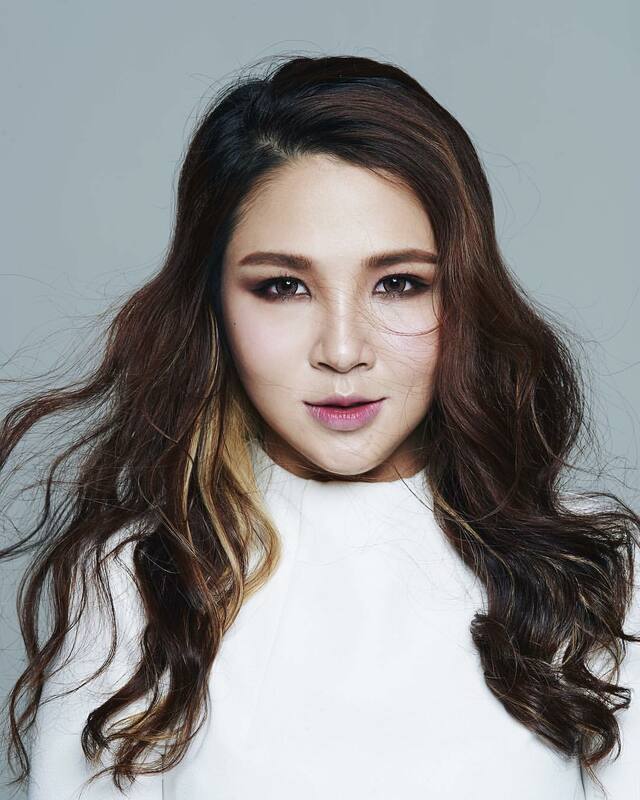 Till then for my artsy post, will update more about JE10. A Nom-nom Food Post Maybe? For those who are interested with this camera, do visit and like Casio Exilim Malaysia's Facebook Page and Twitter to find out more on their latest Casio cameras. If you're interested with Casio EX-JE10, do drop by to any Casio store in Malaysia. It's selling for only RM649. Last but not least here's a contest for those who are interested with Casio Exilim Cameras. 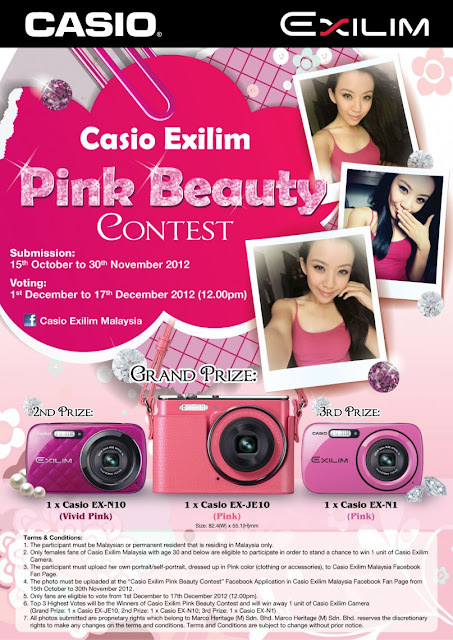 Just by joining Casio Exilim Pink Beauty Contest, you may stand a chance to win our latest new cameras for Casio Ex-JE10, Casio EX-N10 or Casio EX-N1!